Daryl Upsall & Associates SL provides strategic consulting support to the world’s leading UN agencies and INPOs whilst Daryl Upsall Consulting International SL has hired 451 posts for 179 clients in 127 locations worldwide. He is the founder and co-owner of Spain's leading telephone fundraising agency, The Fundraising Company SL and the face to face fundraising agency International Fundraising SL raising funds in Spain, Italy, Portugal, Poland, Mexico, Colombia and Peru. In Spain alone, these agencies have raised over $1.15 billion USD for NGO clients over the last 13 years. In 2016, he and colleagues launched the integrated digital fundraising agency dgtl fundraising SL. Daryl has spoken at fundraising conferences in over 20 countries and writes regularly for the leading non-profit sector journals. He is a Fellow of the UK Institute of Fundraising, former Chair of EUConsult, and former International Vice-Chair, Center for Fundraising Innovation at the Association of Fundraising Professionals responsible for education & professional development. ​Dr. Jeffrey Hall has served as Lowell’s Director since June 2010. He joined the staff at Lowell in 1992 as a postdoctoral research fellow and works with Dr. Wes Lockwood, Brian Skiff, and Len Bright on Lowell’s Solar-Stellar Spectrograph (SSS) project , a long-term program involving monitoring of solar and stellar activity cycles, with the goal of lending an astronomical perspective to solar influences on terrestrial climate. So you may wonder, what does an astronomer know about fundraising? Quite a bit, it turns out. An instinctive fundraiser, Jeff will reflect on his experiences in philanthropy from the perspective of an accidental fundraiser involved in one of the largest campaigns in Northern Arizona. In the community, he serves as a member of Flagstaff’s leadership group, the Northern Arizona Leadership Alliance, and is former President of the Governing Board of Northland Preparatory Academy, a college-prep charter school, as well as of the Board of Directors of the Flagstaff Symphony Orchestra. His principal avocation is music and he has been the substitute organist the Episcopal Church of the Epiphany as long as he has lived in Flagstaff. ​Monica Nuvamsa (Hopi), Executive Director of the Hopi Foundation. Monica is a member of the Water Cloud Clan from the Village of Songoopavi. She received her B.A. in Psychology and American Indian Studies from the University of Arizona and a Certificate in Nonprofit Leadership from the Arizona State University Lodestar Center for Philanthropy and Nonprofit Innovation in 2012. Monica’s early career experiences include developing and managing the Hopi Tribe’s Domestic Violence Program. She served both as an Advocate and Project Coordinator until she received a political appointment to serve in the role of the Intergovernmental Affairs Liaison for the Hopi Tribe. Her tenure with the Hopi Foundation has included 10 years as KUYI Hopi Radio General Manager as well as Hopi Foundation Associate Director of Programs. Monica has served on several nonprofit boards including the Hopi Education Endowment Fund, Native Americans in Philanthropy and Native Public Media. She currently serves as a board member of the Arizona Grantmakers Forum and First Nations Development Institute, and appointed as a Trustee of the recently authorized Keepseagle Trust. ​Justin Hongeva (Hopi) is piikyas’wungwa (Corn Clan) from the Village of Moencopi (Lower) affiliated village of Third Mesa. Justin is a graduate of Arizona State University, earning a BS in American Indian Studies (AIS) in 2011 and a MS in AIS in 2014. During his time as a student and later a staff member at ASU, Justin worked for various support and outreach programs such as the Office of the President for American Indian Initiatives, the Center for Indian Education, and the American Indian Policy Institute. Justin also worked for the University of Arizona’s Indians Into Medicine program, where he outreached to native communities to encourage native students to pursue careers in the health professions. As Resource Development Manager for the HEEF, Justin is charged with establishing relationships with current and potential donors, grant writing, special event coordination and overall resource (fundraising) related activities. Justin is a proud father and enjoys spending time with his family. He also serves as secretary for the AFP Northern Arizona Chapter. ​John W. Dawe, MNA, CNP, CFRE has been working with charitable organizations and nonprofit organizations since 2003. With extensive experience in technology integration and project management, the majority of his career has been in web-based development, fundraising, communications, marketing and strategic planning. From 2003 until 2014, Dawe was founding executive director of the NEPA Rainbow Alliance, a regional network of individuals, nonprofits, and businesses working to advance equal rights and identify supportive services for LGBT+ individuals and families throughout the region, growing the organization’s membership from 10 to more than 2,000. He served as NEPA Chapter President of the Association of Fundraising Professionals from 2006-2009. He also served on the AFP International Committee on Directorship, LGBT Working Group of the Diversity and Inclusion Committee, Marketing and Communications Committee, and Professional Advancement Committee. He served on the AFP TechKnow Conference Planning Board. He currently serves the organization on the United States Government Relations Committee, Diversity Scholarship Task Force, and National Philanthropy Day International Celebration committee. Dawe received the Masters of Nonprofit Administration (MNA) Degree from North Park University – Chicago in 2016. He received the CNP (Certified Nonprofit Professional) credential in 2015. He received his CFRE (Certified Fund Raising Executive) credential in 2009 and became an AFP Certified Master Trainer in 2010. He is a 2006 graduate of Leadership Wilkes-Barre. ​Alice L. Ferris, MBA, CFRE, ACFRE, is founder of GoalBusters, helping small to midsize organizations in outsourced fundraising, planning and training. Alice has more than 25 years experience in public media, rural healthcare, education, and science organizations, among others. Alice thrives in finding creative solutions for the challenges of small organizations, as well as teaching and training about practical and realistic tactics. She was the 90th professional to receive the Advanced Certified Fundraising Executive (ACFRE) credential, and serves on the boards of the ACFRE program, CFRE International, and the Bolz Center for Arts Administration at the Wisconsin School of Business. Jacque brings 15 years of experience and training in nonprofit development and organizational management to any new engagement. Working as the sole fundraiser for small nonprofits such as the Phoenix Theatre, Florence Immigrant & Refugee Rights Project, Native American Community Center, YWCA Metro Phoenix, and ICM Food & Clothing Bank, she planned and implemented capital campaigns, major and planned gift initiatives, special events, annual giving and direct mail programs, as well as managing all aspects of corporate and foundation fundraising. Jacque helped those five organizations raise over $9.5 million. She holds a BS in Political Science and Nonprofit Management from Arizona State University and a CFRE (Certified Fund Raising Executive) from CFRE International, the global standard for the fundraising profession. She has also served as president of the Association of Fundraising Professionals- Greater Arizona Chapter. ​Laura and Jenny are founders and partners of the Tucson based consulting firm, Alexander | Carrillo Consulting. They specialize in non-profit organizational development with an emphasis in board development, strategic planning, fundraising and training. While they bring unique strengths and perspectives to their work together, they share many of the same credentials and education. • Were recognized by the Southern Arizona AFP Chapter as Outstanding Fundraising Professional (Jenny in 2006, and Laura in 2012). • Are BoardSource Certified Governance Trainers. Together, Laura and Jenny have consulted over 100 nonprofit organizations, from grassroots, founder-led start-ups to mature community institutions. For more information about Laura, Jenny and their firm, visit www.do-good-better.com. ​Jim Anderson, CFRE, GoalBusters Partner, has more than 30 years of sales and sales training experience through his positions with local media and national research companies such as Nielsen Media, Simmons and Scarborough Research. Consistently recognized as a top revenue producer ($30million+), Jim earned "Sales Executive" and" Negotiator of the Year" awards. 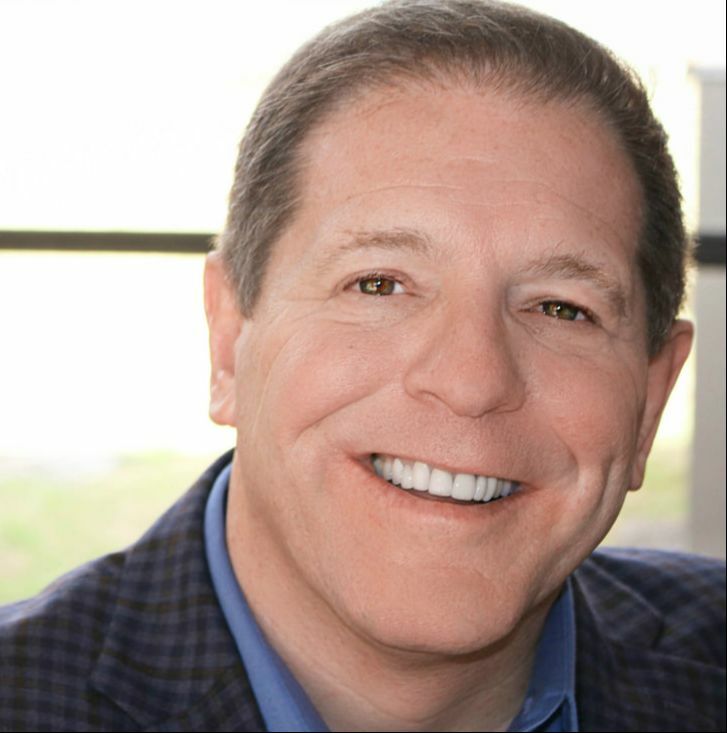 Jim specializes in marketing and branding strategy, social media marketing, multimedia production, direct sales and sponsorship training programs, and board and organizational training. Jim frequently supports public media pledge drives with passionate, entertaining and effective on-air appeals coast to coast. Jim is the current President elect of the AFP Northern Arizona Chapter. He served as chapter President in 2013-2014 and has served on the AFP International Communications and Marketing Committee, the Committee on Directorship and is an AFP Faculty Training Academy graduate. In addition, Jim was honored as the 2010 Association of Fundraising Professionals Northern Arizona Fundraising Professional of the Year. He first earned his Certified Fundraising Executive (CFRE) credential in 2013. Jim has an extensive background in media production, and has created projects ranging from training videos for 300+ television stations nationwide in the US, to promotional videos for client events. As an instructor at Northern Arizona University, he received superior evaluations from the hundreds of students who participated in his "Communications Analysis" and "Sales, Research, Marketing and Promotion" classes. Jim speaks Spanish, is an avid photographer, and is a Google verified photographer with more than 20,000,000 views of his 360° photos on Google Maps. After a successful business career and inspired by the need to serve after the event of 9/11, Paul joined the nonprofit sector as a Senior Development Officer for the Denver Rescue Mission. He furthered his career serving as Executive Director of Development for the Inner City Health Center where he started the development department and quadrupled donations in a 3-year period before leading them in a $ 5.5M campaign for a new clinic. Mr. Dunne followed up this success by accepting a position with the North Hawaii Community Hospital and guided them through a tumultuous year and managed to cap off their $ 19M campaign by raising the final $ 6M. Paul then returned to the mainland to Ability Beyond Disability on the East Coast where he was one of the primary architects behind their campaign and introduced the “Power of Ten” concept to the board resulting in over 250 new donor prospects. Throughout his varied fundraising career, Mr. Dunne has been involved with different boards and assisting them in their development needs. He currently serves on the AFP International Board along with other national committees. Paul has been awarded the Colorado Chapter AFP Outstanding Fundraiser and was nominated for the Colorado Outstanding Professional in Philanthropy. Driven by the need to give back to his alma mater, Mr. Dunne served as the Vice President for Development for Howard Payne University in Texas, where he and his staff have quadrupled their donor base and helped design, identify and raise the first $8.2 million dollars of their new $18M campaign. Before coming to Need Him Global, Paul was the Vice President with the Kempe Foundation in Colorado - a world leader in the fight against child abuse and neglect. After some “gentle nudging”, Mr. Dunne started his own consulting firm, thinkpadsolutions in July 2016. Diana Hoyt believes in the power of the nonprofit sector to weave a tapestry that wraps our communities in the warmth, healing and enlightenment that makes us human. With this belief she understands the immense role fundraising and philanthropy pay in supporting the endeavors of nonprofit professionals and volunteers. She works with nonprofit organizations throughout the United States encouraging them to utilize their databases to strengthen their fundraising efforts. Diana has served the nonprofit community as the chief development officer for five Phoenix-based nonprofit organizations. She also has provided fundraising consulting and training to dozens of nonprofit organizations in Arizona and nationally. Diana has been instrumental in raising millions of dollars while directing a number of campaigns. In 1998, Diana formed Heritage Designs, a fundraising software company. She designed and currently markets MatchMaker FundRaising Software to nonprofit organizations. While expanding her business coast to coast, she has continued her fundraising consulting and training. Mary Kaufman-Cranney, CFRE is a 30-year veteran of fundraising/development. In 2017, she joined The Alford Group as Vice President in Arizona, a national full service non profit consulting firm. From 2010 to 2017, she served as director of philanthropy for The Nature Conservancy (TNC) of Washington. Prior to her joining The Conservancy, she served for several years as the director of development for Seattle Opera and 20+ years as head of development with the YMCA of Greater Seattle. She currently also serves as an adjunct co-professor at Seattle University for a graduate fundraising course. In 2015 she was selected as Washington’s AFP Fundraiser of the Year. Mary has directed a dozen campaigns, securing more than $250 million for work in Washington and around the world. Some of her key accomplishments include developing Washington TNC’s board, major gift program, doubling annual operating support in three years and successfully conducting a $33 million comprehensive campaign, securing a $26 million gift to Africa, and leading TNC’s effort to launch a $160 million campaign in July 2015 for Washington and Global concerns with 58% of the goal achieved in the first two years of a five-year effort. She also directed three major YMCA capital campaigns securing $60 million to build new community YMCAs and launched a major gift program for the YMCA of Greater Seattle, helping to secure over $50 million in commitments for program expansion. While at Seattle Opera, she reinvigorated a $10 million annual campaign and led a $75 million comprehensive campaign. Mary is active in the philanthropy community having served on the Washington AFP Board for a decade, in leadership roles to AFP’s Major Gift Symposium, serves on the Greater Arizona education commitee and chaired numerous community organizations fundraising efforts. She is a trustee to Washington State University’s Education Advisory Board. She served on the world-wide campaign committee for TNC’s $4B philanthropic campaign. She also has led numerous trainings around the community and country on development topics. Holly Hull Miori has an twelve-year career in fundraising, where she has raised funds both locally and nationally for healthcare and faith-based organizations. She serves as the Director of Development and Alumni Relations at UT Dallas for the Ackerman Center for Holocaust Studies and the School of Arts and Humanities. Her work in fundraising includes leadership gifts, generational giving, and planned giving and her academic work includes millennial's philanthropy and conscious capitalism. Holly earned a bachelor’s degree in both religion and communication arts from Austin College in Sherman, TX and received her master’s in theological studies from Brite Divinity School at TCU where she focused on faith and giving and will finalize her Master's in Public Affairs from UT Dallas this summer. She has held her CFRE since 2012. Holly serves as a board member for Paper for Water, and is actively involved in AWARE Dallas and Colleyville Woman’s Club. Elizabeth Nielsen is the Chief Development Officer at the Valley Medical Center Foundation where she leads philanthropy efforts to support Silicon Valley’s public safety-net hospital. Prior to her work in the healthcare space, Elizabeth spent a decade building and fundraising for national service (AmeriCorps) programs in Philadelphia, Boston, and the San Francisco Bay Area. Elizabeth currently lives in Tucson where she serves as a volunteer and board member for organizations that support youth in foster care and that develop the next generation of young adult leaders for the social sector. She has a degree in Nonprofit Administration from the University of Massachusetts Amherst and earned her Certified Fund Raising Executive (CFRE) credential in 2009. ​Ligia Peña, CFRE is the Global Legacy Manager at Greenpeace International. In her position, she drives Greenpeace’s global legacy strategy and manages a community of practice of legacy managers in 14 countries. For the past 15 years, she has been working with organizations ranging from mental health, environmental education, at-risk youths to international NGOs. Working on all aspects of fundraising, communications and management, her true passion has always been to empower small non-profits to be strong and resilient. ​Margie Puerta Edson, is the Senior Director of Development for the College of Engineering at the University of Arizona. She is responsible for securing philanthropic support for college priorities, including major and principal gifts in excess of $6.5M annually. With more than 20 years of experience in fund development she is a frequent speaker on fund raising and nonprofit issues. A Certified Fund Raising Executive (CFRE) since 2005, Margie received the Outstanding Fundraising Professional Award from the Association of Fundraising Professionals Southern Arizona Chapter in 2007. Judith A. Smith, MA, CFRE, is a seasoned development professional with more than three decades’ experience in nonprofit development, with an emphasis on planned giving. In her current role as Director of Planned Giving for the Arizona Community Foundation, she works with headquarters and regional staff, as well as nonprofit organizations and philanthropists across Arizona to help resolve legacy and planning questions through planned gifts. As part of the work with nonprofit organizations, Judi directs the Arizona Endowment Building Institute and leads the Planned Giving 100 and 200 series educational training seminars for nonprofits. She is a member of the board of directors for the Planned Giving Roundtable of Arizona. Crystal Littleben is of the Red House People Clan, born for the Coyote Pass Clan. Her maternal grandfather is of the Deer Springs Clan and her parental grandfather is of the From Under His Cover People Clan. As Miss Navajo, she believes mental, physical, spiritual, and cultural well-being are the key to a healthy and thriving Nation. Crystal's goal is to work to improve the holistic well-being of Navajo communities. Jay is Tabaaha (Water Edge clan) and born for Tsenjikini (Honey Combed Rock People/Cliff Dwellers People clan). He is most known for his award-winning talents as singer, drummer and songwriter. He has earned NAMMYS, Indian Summer Music Awards, AFIM INDIE Awards and even a Grammy nomination. Those closest to him know him as a horseman. "Horses are like medicine, they are good blessings to all Indian Nations.” Dine’ warriors and medicine men always have sung to their horses. Jay carries on this tradition. Jay’s goal has been to teach and inspire young people to never be ashamed of whom they are, to never lose sight of their culture and the importance of the horse in the Native culture. Mikaela "Duwavensi" Gamble is Pikyas'wungwa from the Village of Moencopi. Her Hopi name is Duwavensi, "snake slithering in the sand making a design." She is 21 years old and is the daughter of Shelley Hongeva and Michael Gamble. She is currently a student at Fort Lewis College in Durango, Colorado, majoring in early childhood education. The honor of being Miss Hopi includes "encouraging strength, knowledge and respect in young Hopi women." Ahéhee' We owe Shonto a special "Thank You" for allowing the AFP Northern Arizona Chapter permission to share one of his wonderful paintings with you. A Dine’ artist, author, educator and blessed man, Shonto brings beauty to the world. Featured in more than 50 galleries including the Museum of the American Indian in Santa Fe, the American Indian Contemporary Arts' museum in San Francisco and Phoenix Art Museum. The Green Team is a group of committed, Navajo and Hopi growers and gardeners working together to build capacity with each other and use their gardens and cornfields as teaching sites for others. "We want to show our communities how we can grow more of our own food and be more self-sufficient. We also want to utilize the land and water resources in a sustainable and efficient way to support these efforts.